Anyone who knows me knows that there are four words I never say at work; “That’s not my job.” I have always believed that when you say that, what you are really saying is “I don’t respect you enough to help you accomplish your objective.” Another thing you are telling your employer is that you are unwilling to become versatile, and that you are happy with the position you currently hold. This leaves the question; does that mean that I don’t believe there is ever a time to use that? The quick answer is “no”. As with every rule, or guideline, there are exceptions. I ended up learning this last week, at work. 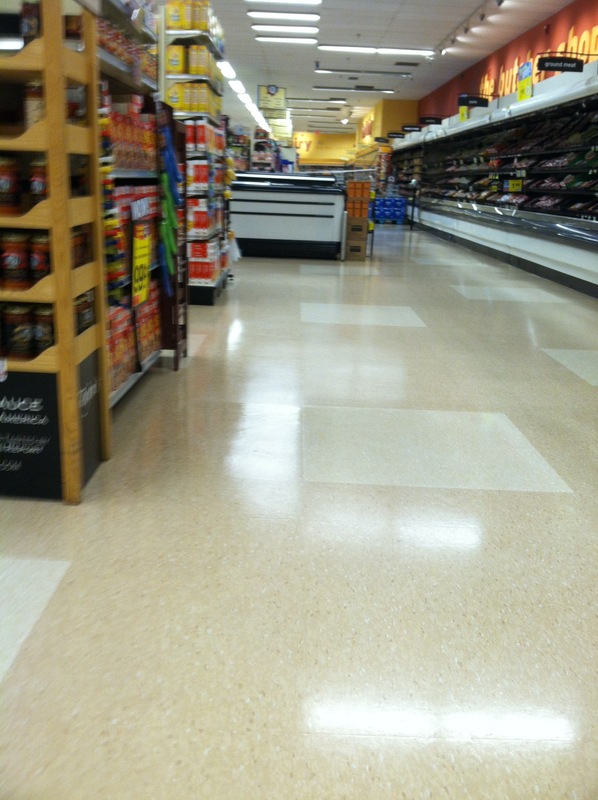 For those who are new, let me first say that I work overnight stocking shelves at Hannaford. It’s not a glamorous job, but it keeps the money coming in while I try to get my business going. In the thirteen years I’ve been working there, I’ve done just about every job that a person at night can come up with. This includes handling power outages, and being one of only two people left after the rest of the crew got caught doing drugs in the break room. I’ve had a lot of supervisors in that time, and one of my policies has been to make one promise to each of them. My promise to the last two supervisors was to maintain the stocking standards by correcting the problems I come across each night. I made sure nothing was hanging out beyond the shelves, shelves were not stocked too high, and any damages I come across, I remove them. I realize that this should be the job of every member of the nightcrew, but we’ve had a recent influx of new hires and they haven’t received proper training in maintaining the standards. What this means for me is that my part of keeping the store in standards, and undamaged product has become an almost solo job, and it’s taking a toll on my performance. Last week, it got so bad that I had to step back and, as hard as it was, tell myself that if the new supervisor is unwilling to maintain the store’s integrity, then it’s not my job to do it to the detriment of my own performance. Of course, I will maintain the standards with my own job, and if I see damaged product, I will remove it, but I won’t try to seek it out. I’ve already talked to the supervisor about training the new employees for this, which now makes it his job to act on that. I have said all that to say this; “Is there a time to say it’s not my job?” When it comes making your productivity suffer, the answer is YES! Whether you are making goals, or resolutions for the new year, there is still time to order motivational photographs on my website. They can be placed anywhere you need motivation. I don’t include the frames because they usually break in transit. The website is www.jrnytosuccess.com just go to the store and see what inspires you. This entry was posted on December 18, 2013 at 12:00 pm and is filed under Success. You can follow any responses to this entry through the RSS 2.0 feed. You can leave a response, or trackback from your own site.